On average, a “normal” amount of sleep for an adult is considered to be around 7- 9 hours a night. Children and babies may sleep for much longer than this, whereas older adults may sleep less. What’s important is the quality of sleep and appropriate hours of sleep. You’re probably not getting enough good-quality sleep if you constantly feel tired throughout the day and it’s affecting your everyday life. What many people do not realize is that a lack of sleep—especially on a regular basis—is associated with long-term health consequences, including chronic medical conditions like diabetes, high blood pressure, and heart disease, and that these conditions may lead to a shortened life expectancy. Additional research studies show that habitually sleeping more than nine hours is also associated with poor health. Of course, just as sleep problems can affect disease risk, several diseases and disorders can also affect the amount of sleep we get. 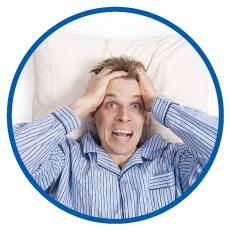 While an estimated 50 to 70 million Americans suffer from some type of sleep disorder, most people do not mention their sleeping problems to their doctors, and most doctors do not necessarily ask about them. 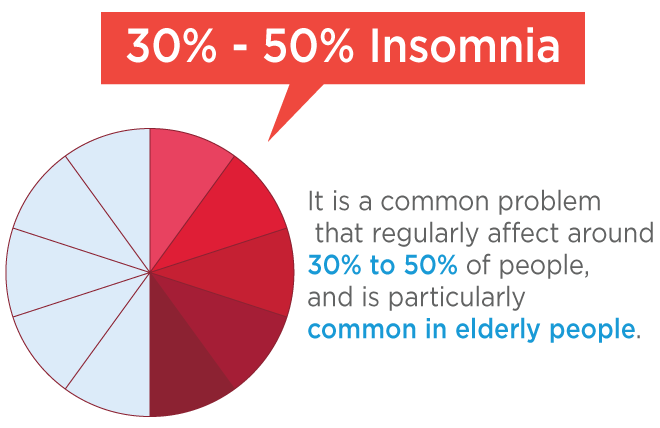 This widespread lack of awareness of the impact of sleep problems can have serious and costly public health consequences. A 2010 study found that men who slept less than six hours a night were actually four times (4X) more likely than women to die over a 14-year period. Research from Warwick Medical School and other studies have shown that prolonged sleep deprivation can have serious long-term health effect and increased risk of dying from heart attacks, cardiovascular disorders, or stroke, because without enough sleep, the body can produce more of the chemicals and hormones that lead to heart disease and not enough of those that prevent it. A large European study found that those who suffered from three symptoms of insomnia had a more than threefold (3X) increased risk of developing heart failure. Studies demonstrate a strong correlation between the severity of obstructive sleep apnea and the risk and severity of hypertension. 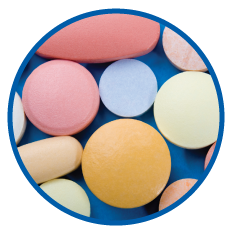 Researchers also found a strong link between sleep quality and resistant hypertension, which does not respond to typical drug-based treatments. A large population based study showed much higher risk of developing stroke in younger people with insomnia, 8-fold higher risk than those without insomnia. It’s common for Alzheimer’s patients to have sleep disorders, which researchers thought was a result of the disease. Researchers in a study led by Oregon Health and Science University believe that it might be the other way around. It’s during deep sleep that our brain is able to rid itself of harmful toxins, including beta-amyloid commonly associated with Alzheimer’s disease. If we don’t get adequate sleep, the brain might not be able to carry out this function, causing amyloid to accumulate. This, in turn, potentially increases risk for Azheimer’s disease. Actually, a small but growing body of research suggests a link between poor sleep and several other types of cancer too, including this study of colorectal adenoma. Researchers at Duke-NUS Medical School have found evidence that the less older adults sleep, the faster their brains age. Findings relate short sleep to a marker of brain aging. Sleep debt has a harmful impact on carbohydrate metabolism and endocrine function. A study showed that daily sleep duration of less than 12 hours during infancy is a risk factor for overweight and adiposity in preschool-aged children. Studies have shown that people who reported sleeping fewer than five hours per night had a greatly increased risk of having or developing type 2 diabetes. Fortunately, studies have also found that improved sleep can positively influence blood sugar control and reduce the effects of type 2 diabetes. Poor sleep quality in elderly persons is associated with more severe arteriosclerosis in the brain as well as a greater burden of oxygen-starved tissue in the brain – both of which can contribute to the risk of stroke and cognitive impairment. Coronary artery calcium were associated with short sleep duration. Not getting enough sleep has been linked to a laundry list of mental and physical health problems, including those that stem from an impaired immune system. Sleep and the circadian system influence the regulation of immune functions. 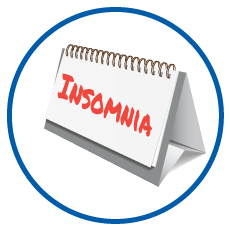 Studies have shown results consistent with insomnia being a risk factor for development of anxiety disorders and depression.